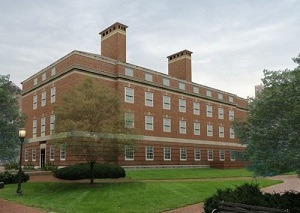 Johns Hopkins Facilities & Real Estate (JHFRE) provides full plant operations support services for the Johns Hopkins Homewood campus, as well as planning, design, and construction for the schools and divisions across the Johns Hopkins enterprise, including Washington, D.C. and Montgomery County. Additionally, JHFRE provides leasing and property management for the university as well as the Health System and its affiliates. Also within JHFRE is the Office of Sustainability, offering university-wide services. Our maintenance services focus on the Homewood Campus and nearby buildings, but you can easily request service for other Johns Hopkins campuses, including East Baltimore, Bayview and the Peabody Conservatory. 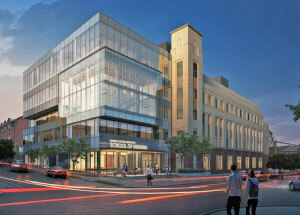 Construction is just getting underway on the School of Nursing Pinkard Building addition and renovation project. Macaulay Hall has undergone an extensive core and shell renovation. On Saturday, February 9th from 6am to 10am, a crane will be used to lift materials to the Maryland Hall roof. The crane will be located on the access road behind Maryland Hall. The access road and sidewalks behind Croft and Maryland Halls will be closed during this date/time. Building entrances and exits for Croft Hall, Maryland Hall, and Whitehead Hall, adjacent to the service road will be closed and for emergency use only during this date/time. Flag personnel will direct vehicle and pedestrian traffic around the work area. There will be signs indicating closures....Click here to read more. Everything is a learning experience at Johns Hopkins, even in Facilities Management. Let us know how we are doing!